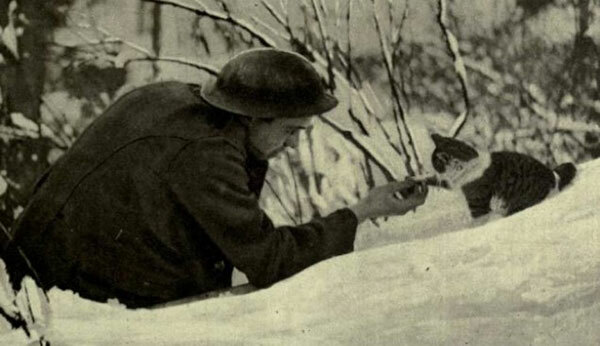 During World War I, cats were a common sight. 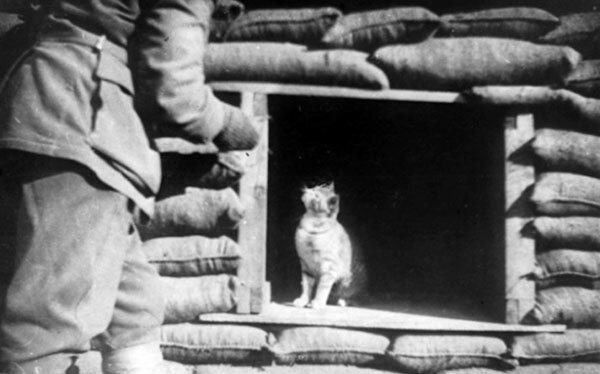 You’ll find these brave, fluffy creatures in the trenches and aboard ships, in which an estimated 500,000 of them were dispatched to help the soldiers by killing mice and rats, as well as serving as gas detectors. 1. 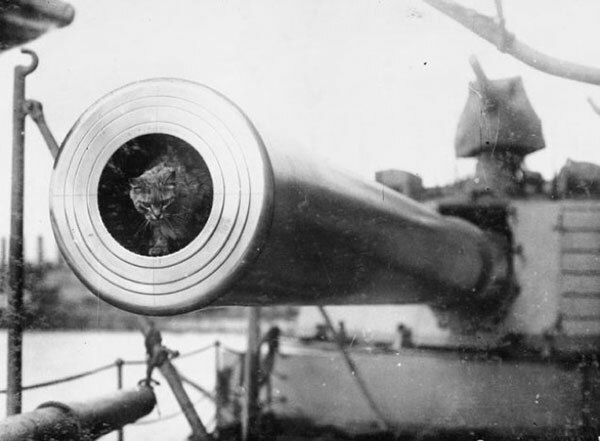 Togo the cat mascot of the battleship HMS Dreadnought. 2. 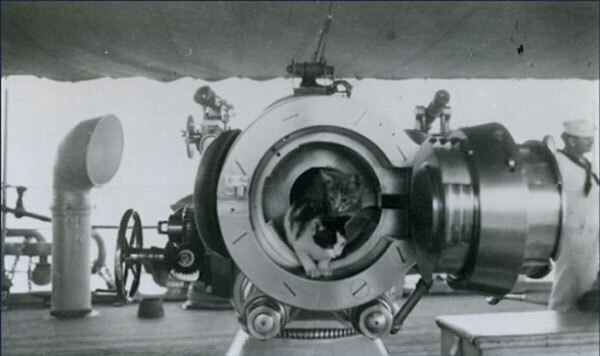 Two cats pose in the breech of a 4-inch caliber gun aboard an unidentified U.S. ship. 3. 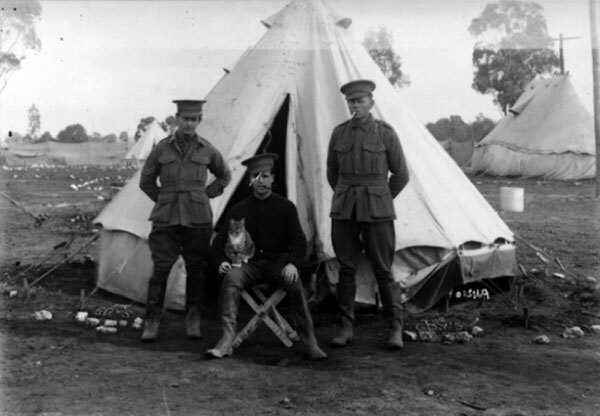 A cat looks up at an unidentified soldier, Gallipoli Peninsula, 1915. 4. British soldier playing with mascot. 5. Portrait of Company O’Connor on August 12th, 1915. 6. 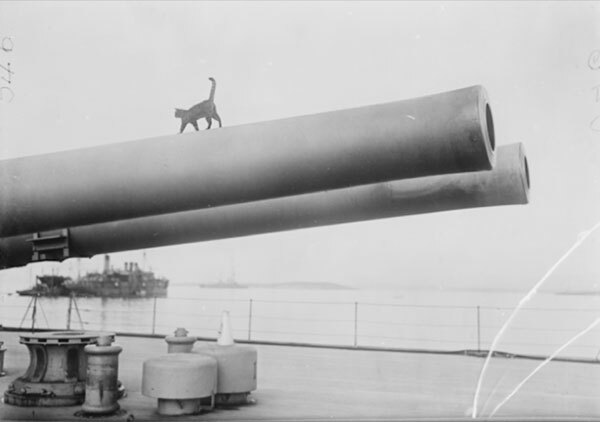 Ship’s cat strutting along the barrel of a 15-inch gun on the deck of the HMS Queen Elizabeth in Gallipoli Peninsula, 1915. 7. 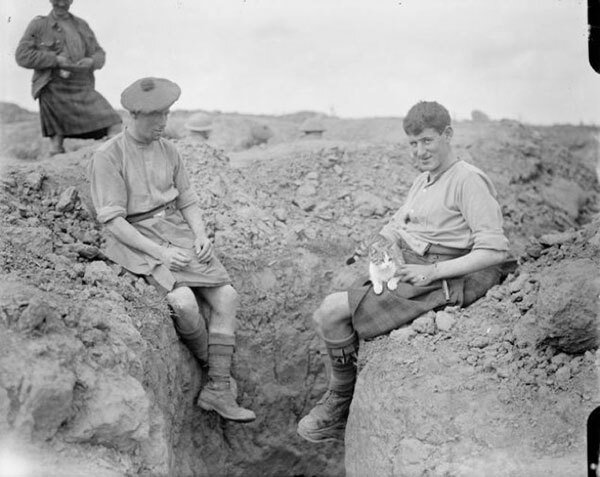 Two men of the 9th Battalion, Gordon Highlanders (15th Division) with their pet cat “Martinpuich” August 25th, 1916. 8. 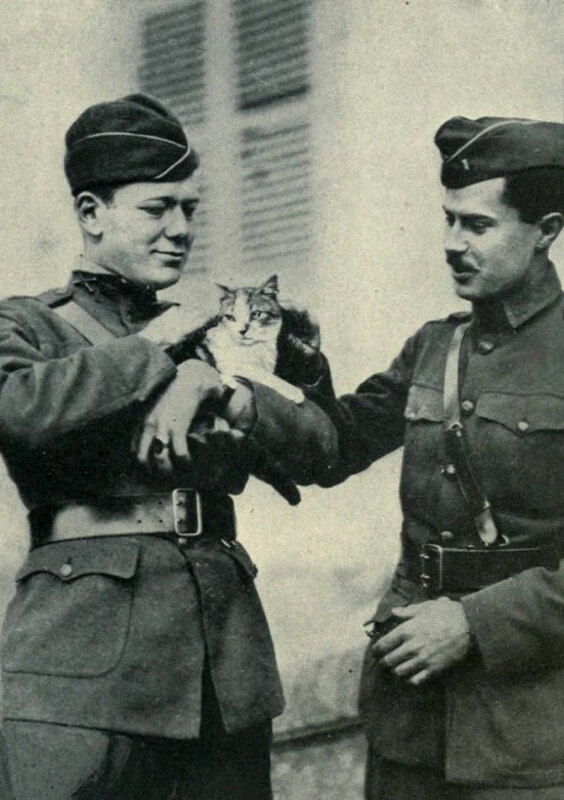 Officers of the U.S. 2nd Army Corps with a cat they discovered in the ruins of Le Cateau-Cambrésis. 9. 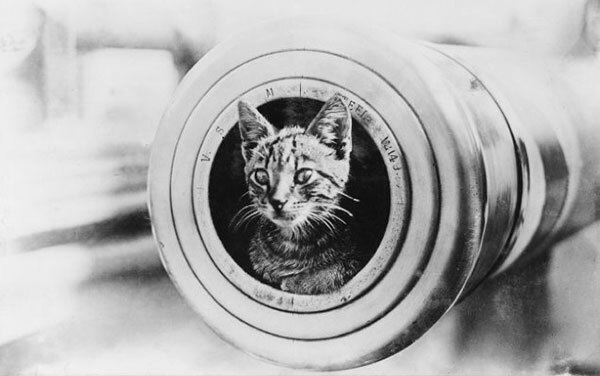 Ship’s cat aboard the HMAS Encounter. 10. 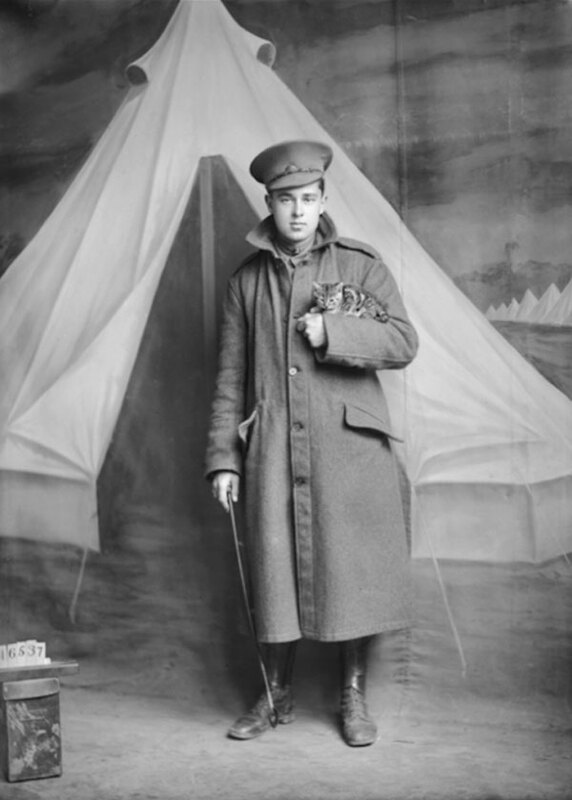 Studio portrait of a soldier holding a kitten in Melbourne, 1915. 11. 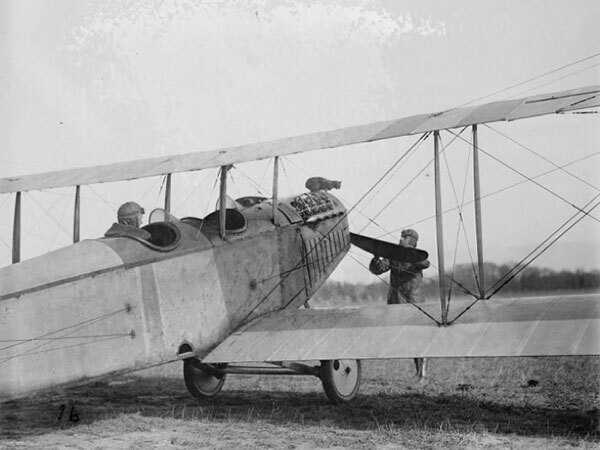 “Spark Plug” was the mascot of this plane. 12. A sailor on board the Royal Australian Navy Destroyer HMAS Swan shaking the paw of “Ching” the ship’s mascot. 13. 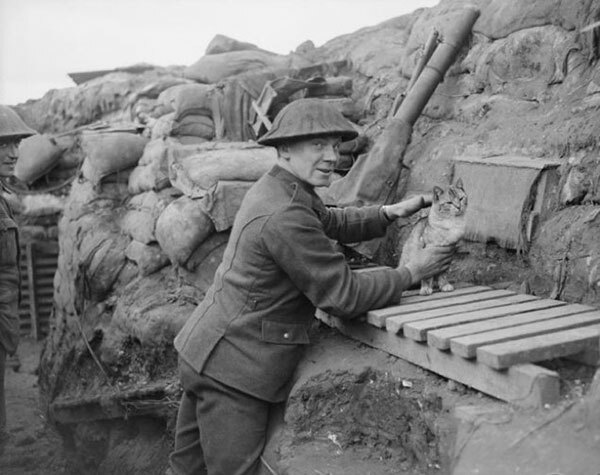 A gunner with the regimental cat in a trench in Cambrin, France, February 6th, 1918. 14. 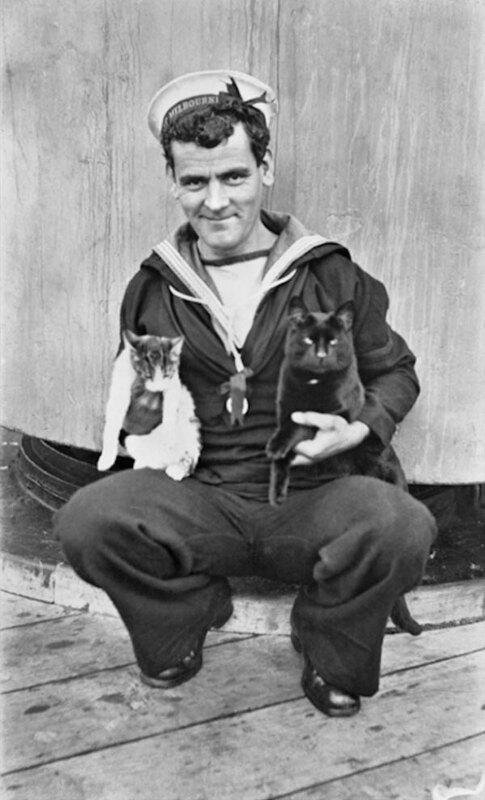 Sailor on board the HMAS Melbourne holding two of the ship’s cats, 1917. 15. 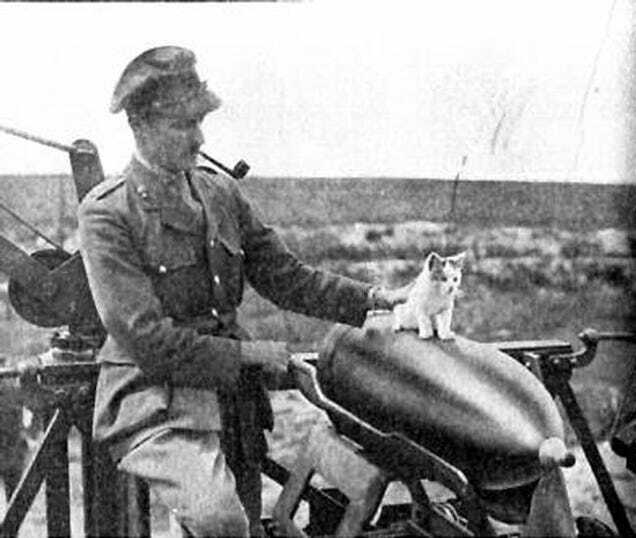 A Canadian soldier with “Tabby” the unit’s mascot, on Salisbury Plain, September 27th, 1914. 17. 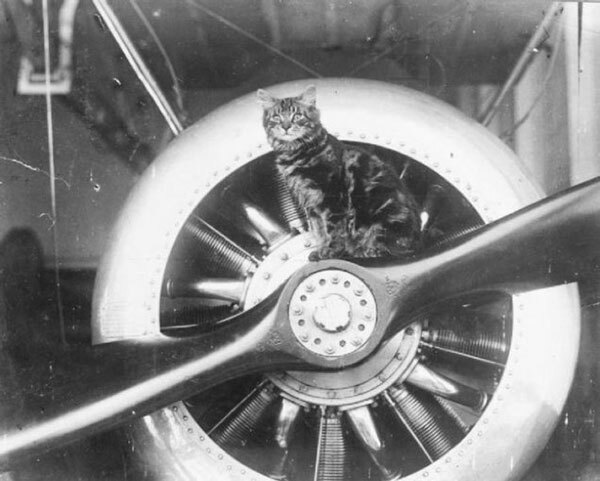 “Pincher” the mascot of the HMS Vindex, sitting on the propeller of one of the sea planes carried by the ship. 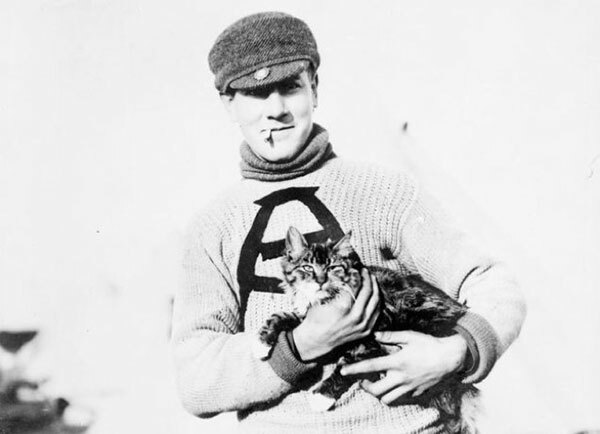 “It is likely that the ancient Egyptians were the first seafarers to realize the true value of having cats as shipmates. 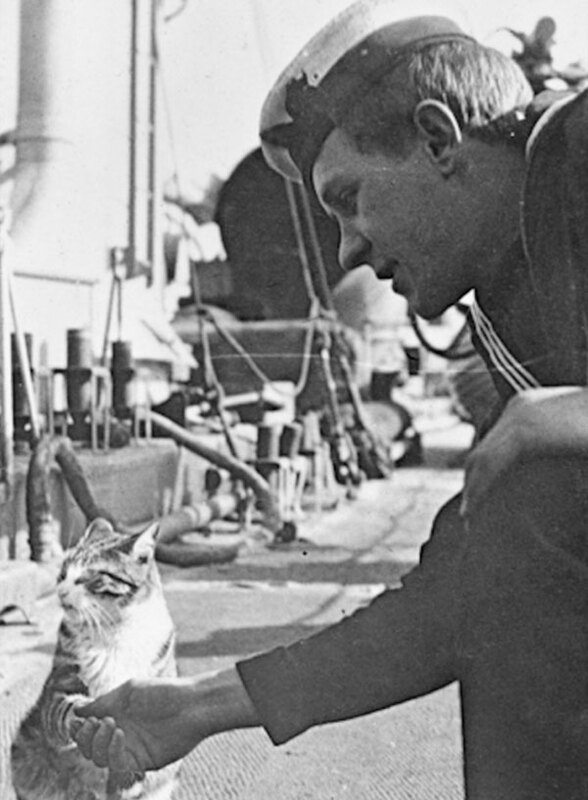 In addition to offering sailors much needed companionship on long voyages, cats provided protection by ridding ships of vermin.